Pricing is a rather hard aspect of selling stuff to me. You can base it on materials, yes, and time…okay, but then what? I know that red and orange glazes are much more expensive than the others because of their pigment, and pieces that have more work on them like hand-building have more of a chance of breaking before getting through all the firing. It doesn’t make it any easier. As I was running around 16 Main today I was again floored and blessed by the fact that I am made in the image of The Creator. I was essentially made with the desire and love to create. 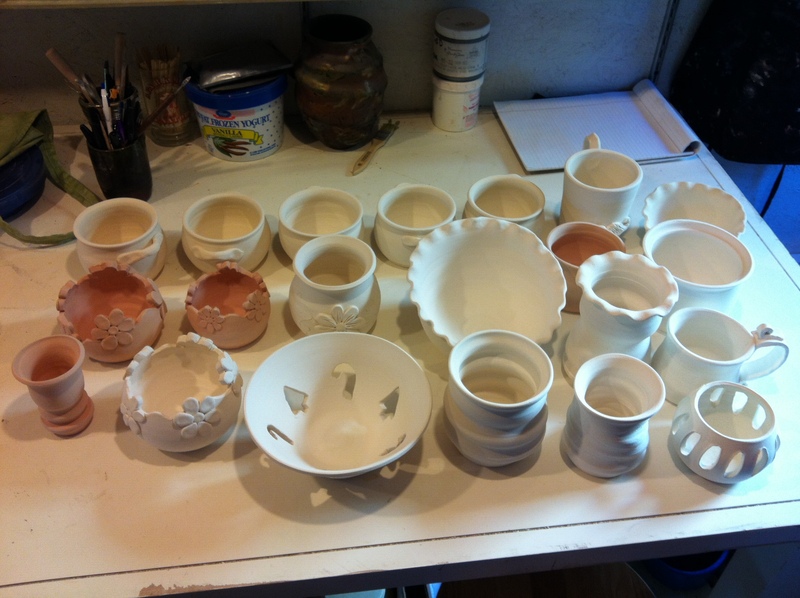 I started the day unloading the bisque fire. 21 pieces of mine in total were just begging to get their pretty colors on, and I couldn’t help but be overwhelmed with everything that I’ve been making. Not the quality, but the quantity! It’s not till you see everything laid out in front of you that you realize the sheer volume. I can’t help myself, though. I love it. 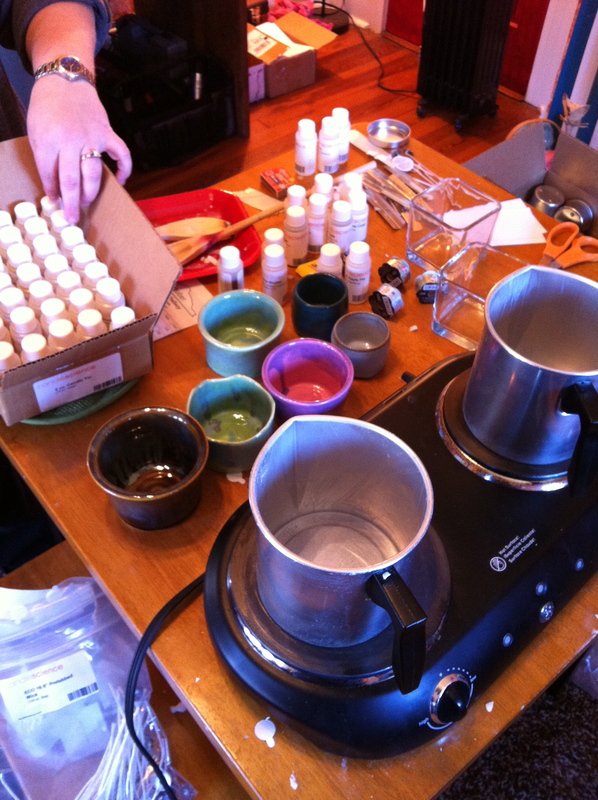 Next stop was to my candle making class upstairs with Kristy Stewart. 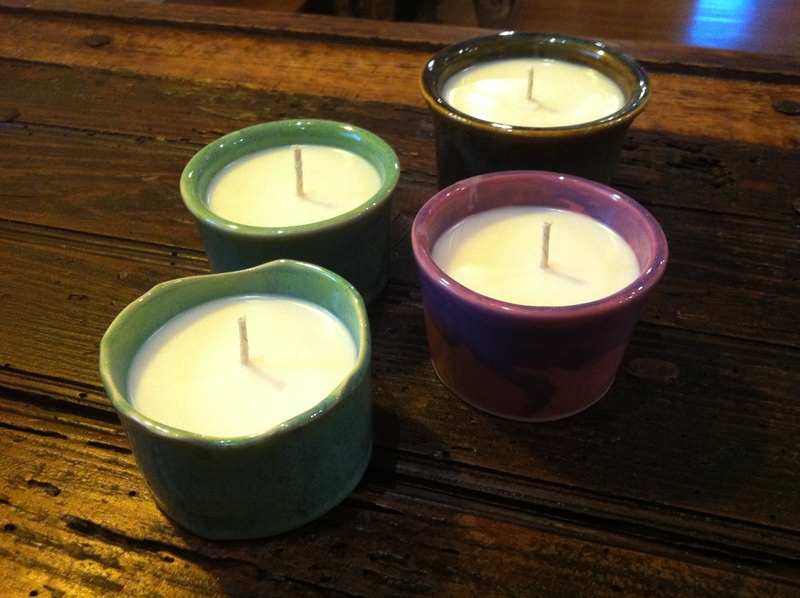 I was encouraged by the lovely Mrs. Stewart to fill some of my tea light holders, so I did. I chose Apple Harvest, Macintosh Apple, and Pumpkin Pie scents. I nearly licked the candles they smelled so good! I wish I were joking…. 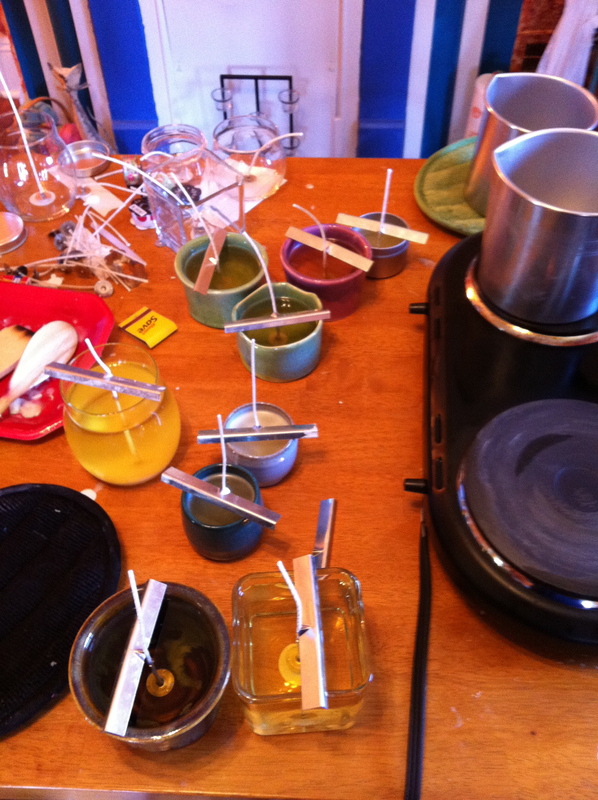 😉 The wonderful part is after the candles are used up I can take her class again and make some more soy candles with all new scents. 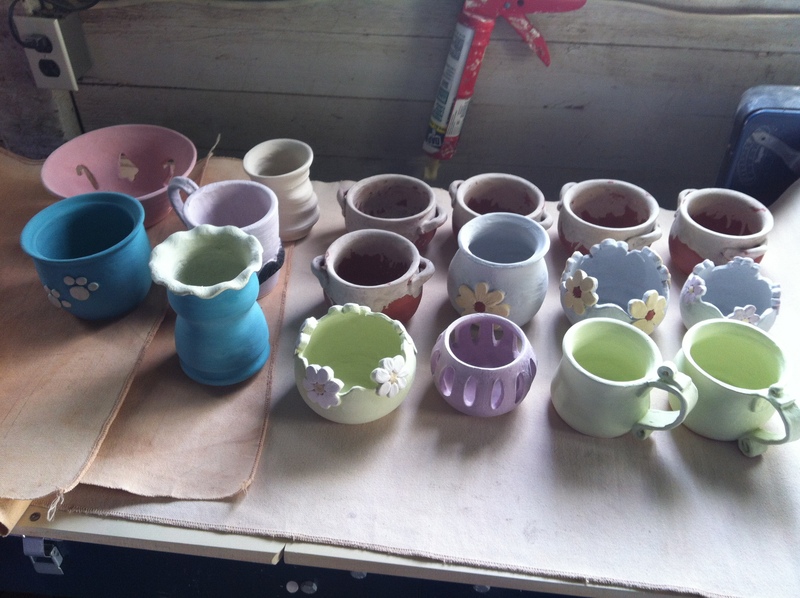 After my class I frolicked across the house to the pottery studio and glazed my beauties. And at the end of the day my candles were set and ready for me to take home. I’ll be making Christmas presents out of them this year. 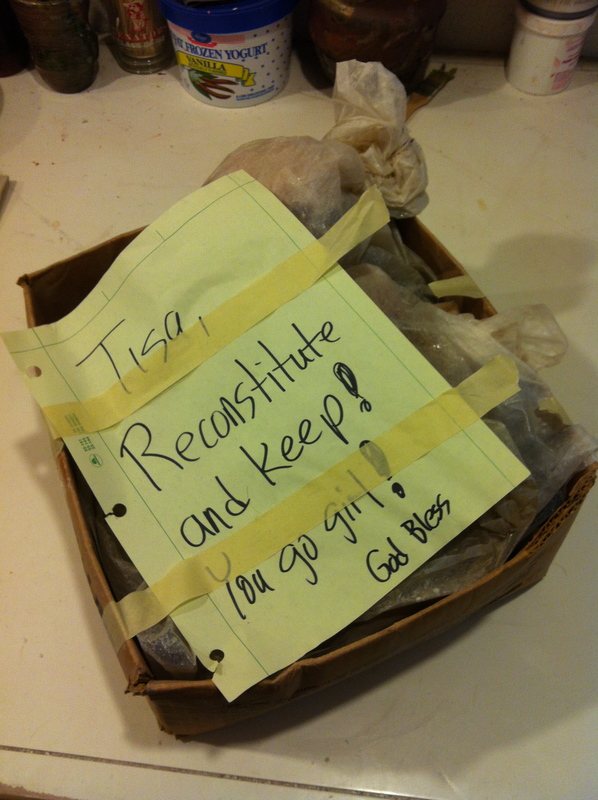 Well…the ones I can bear to relinquish. Want to see something lovely?…. I don’t know if I’ve mentioned how good the people around me are. Truly. All the artists I’ve come to know have been incredibly warm and uplifting and SO generous with their time and abilities. I’m very blessed. Very, very blessed. Previous My first class! Next Fresh baked goodness!